bubly, PepsiCo's sparkling water brand that is full of flavor and personalité, today unveiled its first-ever :30 in-game Super Bowl advertisement titled "Can I have a bublé?," featuring four-time Grammy award-winning singer Michael Bublé. Four new flavors blackberrybubly, cranberrybubly, raspberrybubly and peachbubly, are featured in the ad and join the brand's current portfolio of eight flavors – all with no artificial flavors, sweeteners or calories. The new bubly flavors are now available in retailers nationwide and on ecommerce. 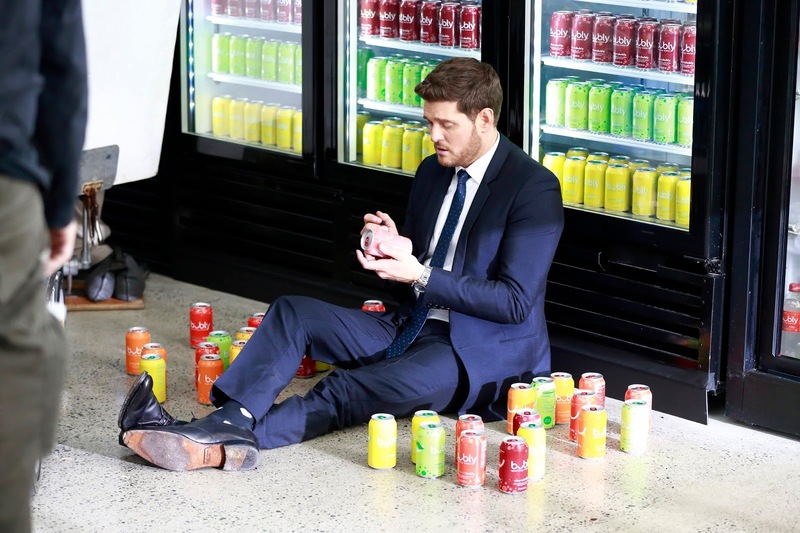 If you're wondering why the talented Canadian born singer is starring in his first-ever American football ad, it's because of his absolute conviction that bubly is in fact, bublé – specifically named after him. In the spot, Bublé thinks it's a bublé world and we're all just living in it. "I might be Canadian, but I'm a big fan of American football," said Bublé. "I had a blast doing my very first Super Bowl commercial with bublé – I mean bubly. Because of our similar names, the brand and I share a special bond. I love how the cans are bold, bright, and full of personality. They're perfect for any Super Bowl viewing partés you might be having." "It was really exciting to be in a Super Bowl ad and getting to make Michael laugh was definitely a highlight," said Nancherla. "I'm a big fan of the brand, especially the new blackberrybubly flavor, and of Mr. Bubly … wait, is that right?" "Sparkling water fans across the country have fallen in love with bubly and now we're thrilled to show-off its fun personality on the world's biggest stage," says Stacy Taffet, Vice President Water portfolio for PepsiCo. "With this spot, we knew we had one job to do – get people to crack a smile – and there was one person we knew could help us do it: Michael Bublé. With his help, not only do we get to set the record straight that it's bubly, not bublé, but we also get to introduce bubly's four new flavors – all featuring their own witty tab greetings and can sayings that bubly fans have come to know and love." Join the #bublyvsbublé and #crackasmile conversations across social on Twitter (@bublywater), Instagram(@bublywater) and Facebook (@bublywater), and visit Youtube.com/bublywater to check out the latest TV ads, exclusive content and more.